The South Korean automotive giant, Hyundai Motor company created buzz in the Indian auto market with the news of bringing the much awaited Elantra Fluidic at Indian shores. With this announcement, the car maker also declared the price of its all-new mid-size sedan, which will range between Rs. 13 lacs and Rs. 16 lacs. With this attempt, analysts speculated that the launch of Hyundai’s new car is not too far away. The Elantra will be launched in petrol and diesel variants. 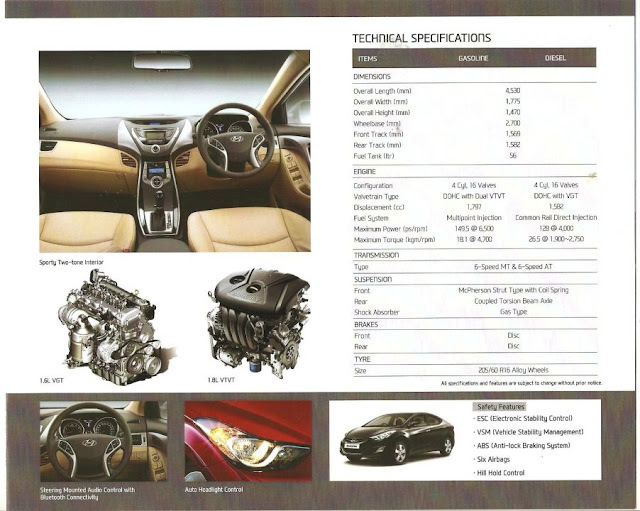 The petrol variant will be powered by a 1.8L DOHC engine that produces 149.5 PS @ 6500 rpm and 177 NM of torque @ 4,700 rpm. The diesel variant will be powered by the mill lifted from the Verna. It is powered by a 1.6-litre CRDI with VGT that produces 128 PS @ 4,000 rpm and 259 NM of torque @ 2,750 rpm. The Elantra will be available in 6 colors – black, silver, white, bronze, red and blue. On the inside, the Elantra will get two-tone cocoa black and beige interiors. 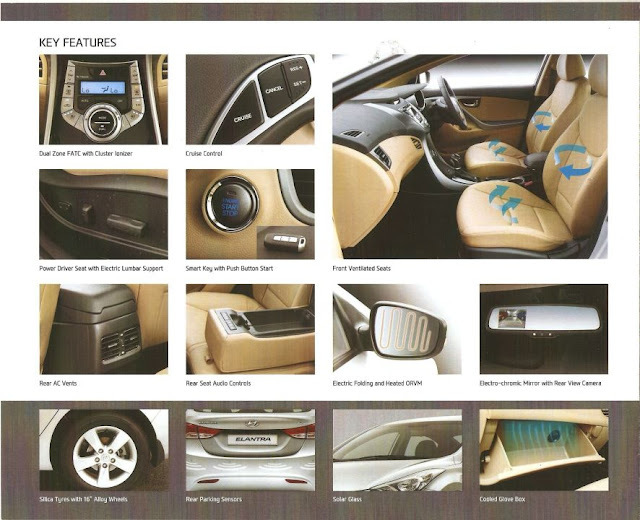 The detailed brochure is attached here. Click on brochure below for a zoomed imaged.